$500 off Invisalign for Moms in May! We are offering a special discount of $500.00 of your Invisalign if you get started in May. Call us at 603-352-8661 to set up a free evaluation today! Please mention this offer when you call. If you decide to get started with Invisalign we will provide you a $500.00 discount. Visit our Invisalign Page to learn more. We are offering a Spring mouthguard night on Tuesday, April 4th from 5-7:00pm at our Keene office located at 105 West Street. The mouthguard night is open to children ages 5-16 years old. There is no cost. Please pre-register here. A custom mouthguard are fitted to your mouth, which often provide more protection and comfort. The American Dental Association recommends wearing custom mouthguards for the following sports: acrobats, basketball, boxing, field hockey, football, gymnastics, handball, ice hockey, lacrosse, martial arts, racquetball, roller hockey, rugby, shot putting, skateboarding, skiing, skydiving, soccer, squash, surfing, volleyball, water polo, weightlifting, and wrestling. Other experts include baseball and softball infielders on that list. Please take a moment to fill out the mouthguard waiver to save you some time at the clinic. Please note: The mouthguard night is only for children who are not wearing braces, if you are wearing braces we can give you a mouthguard at anytime. m dates are Saturdays, March 4, 11, 18 and 25, 2017 • 9:30am–12:30pm. 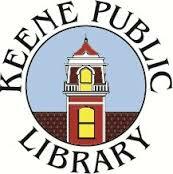 Keene Orthodontic Specialists’ free SAT Prep course is scheduled for four Saturdays in March at Keene Public Library. 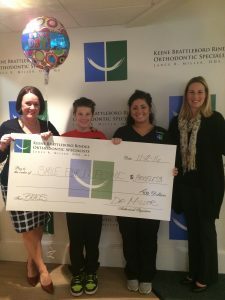 Keene Orthodontic Specialists funds the Free SAT Prep program as a service to our patients and the community. 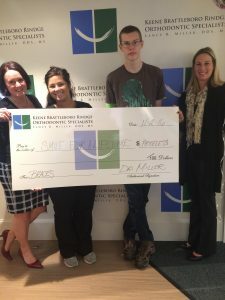 “Success through education is a big part of the American Dream and helping kids be their best is especially important to me,” says Dr. Lance Miller of Keene Orthodontic Specialists. The program is not designed to teach Math and English per se, but rather to help students test well. Inflated scores are not the goal but accurate scores achieved with confidence are emphasized. Any student planning to take the SAT is eligible for the course, although priority is given to high school juniors during the registration process. Returning this year to teach the math segments is Mr. Rob Tiebout, a dynamic teacher at Keene High School. We are also very pleased to welcome back Mrs. Jessica Smith, a highly regarded English teacher at Keene High School, who will present the English segments. Students and/or parents are strongly encouraged to sign up as soon as registration opens in early January since the class has filled to capacity in the past. An email address is required at the time of registration because students must print out and bring their email confirmation to the first class as a ticket for admittance. Program dates are Saturdays, March 4, 11, 18 and 25, 2017 • 9:30am–12:30pm. Registration is open to High School Juniors. Starting February 1, students from other grades are welcome to sign up, if space permits. An email address that is checked frequently. Upon completion of the registration, the student will receive an email acknowledgment that must be printed out and will serve as a ticket to the first class. The email acknowledgment should be received within three business days, if you do not receive it, please call Colleen Swider at 603-352-0157. We love making people smile! We started a Smile for a Lifetime chapter this year, because it is important to us that all families have access to beautiful smiles. Earlier this year we awarded Angell and Samone with a scholarship to braces and they have begun treatment. Azira the confidence they want with braces. Welcome to our family! For more information or to apply visit our Smile for a Lifetime page.